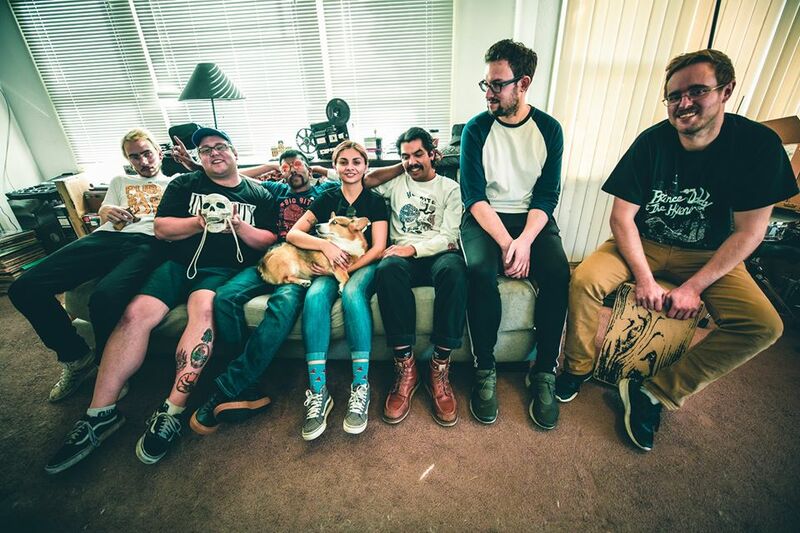 Henderson spoke to Sam Kless, vocalist, songwriter and hypeman, of Cali genre blending band Just Friends who’s recent funk punk? brass punk? party punk? album has blown the minds of our staff. Sam discusses recording the album and coming up with the sound for Just Friends, but also his work on the new Graduating Life album, and his recent album with the punk band Snooze. He also talks about his interests outside of music. It’s good stuff. 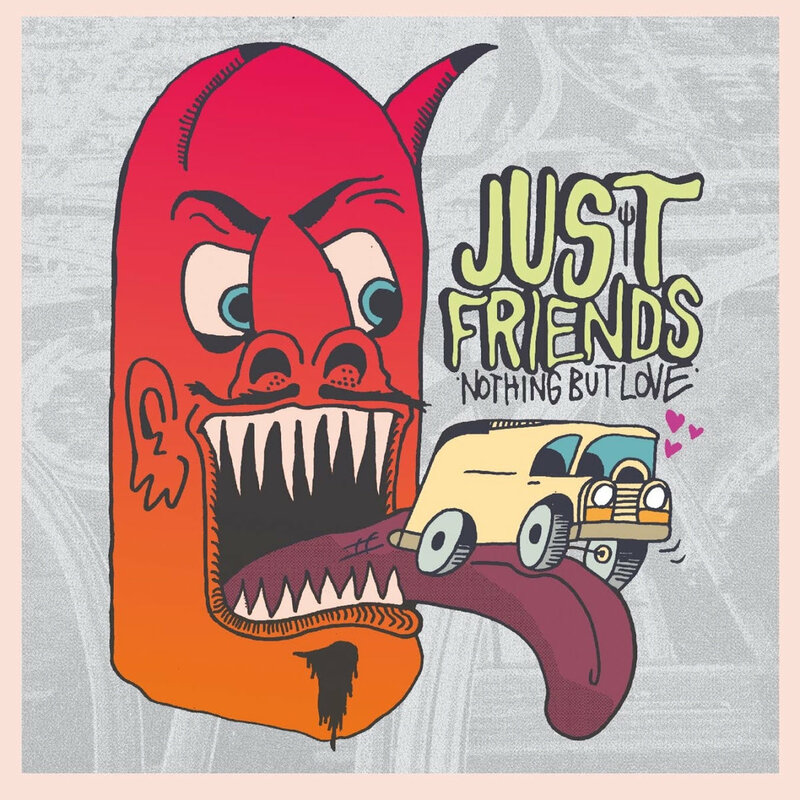 Just Friend’s new album, Nothing But Love, is out now on Counter Intuitive Records. Check out the conversation with Sam below while you stream a few of the tracks. You have been working on so much music lately, but first thing first, I want to talk about the band that you are probably most known for, Just Friends. You all have been able to incorporate so many different influences and blaze your own genre in a way, incorporating punk, brass, hiphop, funk. So where did all these influences come from, and how did the idea come together to start mixing them all in the way that you have? Personally for me it all started with my parents. They are both artists and very creative people and growing up they would put on James Brown, The Beastie Boys, OutKast, Red Hot Chili Peppers, etc. There wasn’t a moment in my childhood where there wasn’t music or art happening 24/7. As for the band it definitely has something to do with Public School Music Education. That is where the bulk of us met originally. Plus when you roll with eight sometimes nine people all the tastes just naturally blend together over time. Just Friend’s material so far as been full of energy, and that seems to be doubly true on the new LP. How are you able to carry that energy from your live shows so well into your recordings? Yeah! We brought everything we got on this one. People used to say that we were so much better live than on recording and we took that as a challenge to create something that was really sonically polarizing. We just work really hard, and go at a pace we feel comfortable at. Saw your live session for “Never Going To Bring You Down” (above) and I feel like in that video especially, we can see what great chemistry you and Brianda Goyos León have as vocalists. Has that just been a natural fit since day 1? And how did you settle on having dual vocalists for Just Friends? I think we operate in mutual respect and admiration. We appreciate and click with each other’s work and ideas and we’re both very passionate about not just music, but performance and creating a moment in time where everyone can hear, see and feel what we’ve created. Brianda has taught me so much through our friendship and I am so thankful to have her in my life. I assume that once the new album is out there will be some touring? 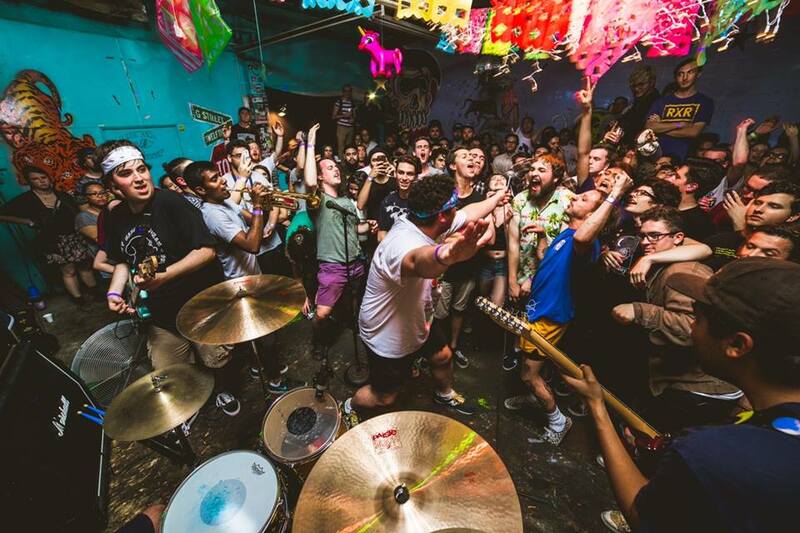 Any tours you’re especially excited about coming up? Yeah! 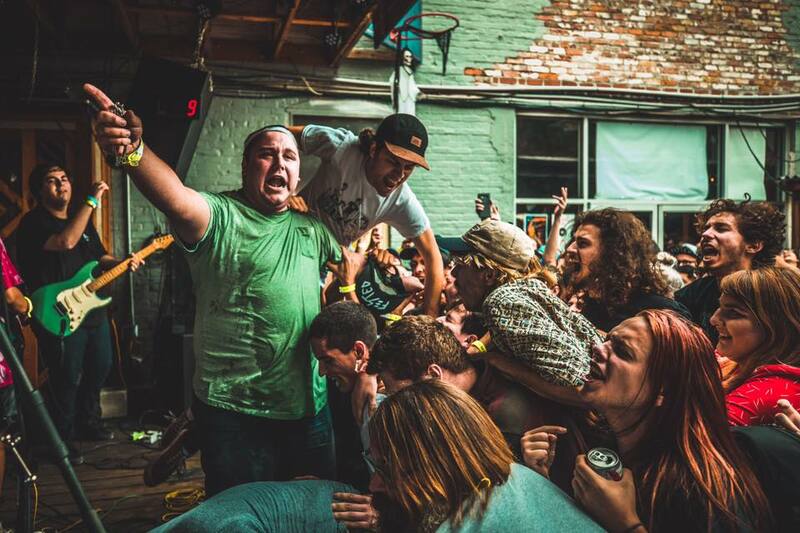 We kick off the Grad Life tour with Mom Jeans. And Grad Life June 16th in Oakland at 1234 Go Records! And then definitely have some stuff brewing for the fall. Aside from Just Friends, you recently told me that you are helping write/record the new Graduating Life record. How has that been coming along and what can we expect from that release? The Grad Life record is incredible. I don’t know how Bart does it honestly. I’m so honored to be a part of it and have him in my life. We are wrapping up right now. I play bass and do some vocals on it. It’s been a wild process, which goes all the way back to December 2017. Brianda makes a few appearances on it, which I’m so happy about. Funny story actually is that Bart bought a $1700 bass for a day for me to record with and then we returned it the next day. Thank you Guitar Center in Concord, California. You’ve recorded both of these records with Ryan Ellery right? He is sort of a new hype producer that we’ve been hearing a bunch about over here on the east coast, and he also plays in Just Friends right? How has it been working with him on these records? Yeah! Ryan is one of my best friends. We knew about each other for years actually through mutual friends but met during the recording of LP 1 and just hit it off. You won’t find anyone more hard working and dedicated to the craft honestly. He plays in Just Friends and Snooze actually. It has been so fun. Ryan and I definitely have a lot of chemistry when it comes to creating so it has been a blast. He saved the first record from being a disaster after a files mishap and with this he has weathered the storm of having over 160 tracks on Nothing But Love. I couldn’t recommend him enough for any recording projects and as a dinner buddy. Along with these 2 projects, and your band Snooze, you have been writing a ton of music. How did you get started playing and writing music? Was this something you always wanted to do? The City Of Dublin, California (where I currently work now) used to run a program that was somewhat of a local teen band night and that was my first concert. A few days later after seeing how that impacted my life, my Dad took me to the Library and instead of going to the library we went across the street and he bought me a bass and I cried. I was constantly picked on and harassed as a kid so music became this place I could hide and truly be myself. What does your songwriting process look like? Is there any place that you pull your lyrical themes from? I’m happy to say that it has been a very collaborative experience for a few years now. A lot of the time I take my ideas to Ryan and I demo them out for everyone since a lot of us live in different states currently. Lyrically Snooze and Just Friends come from different places. Snooze is a lot about my weight and health issues not to mention hating some of my old jobs. For Just Friends and Nothing But Love I really wanted to be positive and anti bullying. I was bullied a lot when I was a kid and even still now if you can believe it. So for example with “Never Gonna Bring You Down”, I wanted to use it as a message to anyone who has been down and out. Or what I would say to 13 year old me when facing things that someone at that age should not have to go through. What music are you personally listening to lately? I’ve been listening to nothing but Rex Orange County’s discography I’m absolutely obsessed. It’s the type of music that makes you mad you didn’t write it. I listen to a lot of my friends too, currently looking up flights to see the State Lines reunion. My favorite band of all time is The Motorcycle Industry; without John Langan I wouldn’t be here that band changed my life. I love my jobs, I work in Parks and Recreation doing events and youth programs. I love basketball and I play it a lot. Jade from Oso Oso and I are unstoppable together and laid waste of everyone in our tournament last year at Kory from Prince Daddy’s house last year. I like learning a lot, I hang out with my sister a lot. Just trying my best to live a happy and healthy life and be a positive influence in this one life I get to have. Thanks for answering our questions. Anything else you wanted to mention?